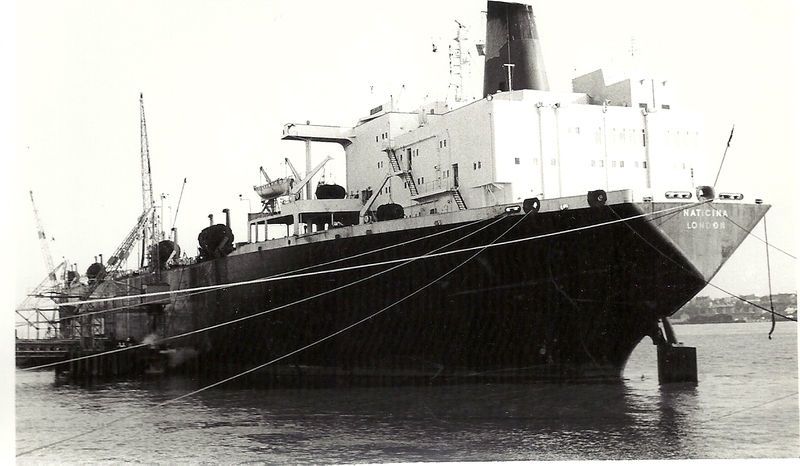 The NATICINA of Shell Tankers was one of the largest vessels to be seen on the Thames in about 1970. She had a gross tonnage of 59316 tons and a deadweight of 115600 tons. She was built in 1967 and scraped in 1993. She was on the Tilbury Repair Jetty when I took this photo. I remember going on board and the engine room was was huge.